Emily and I are two lucky ladies – yesterday we were given free tickets to Metallica by our fantastic wee Scottish pal, Mackenzoid. We decided to get a ferry along the Thames to the O2 as we knew that it stopped directly outside. It was such a nice way to travel – as Londoners we rarely do things that a tourist might do so we miss out on some good stuff! We rode onto the boat, parked our bikes and cracked open some beers. 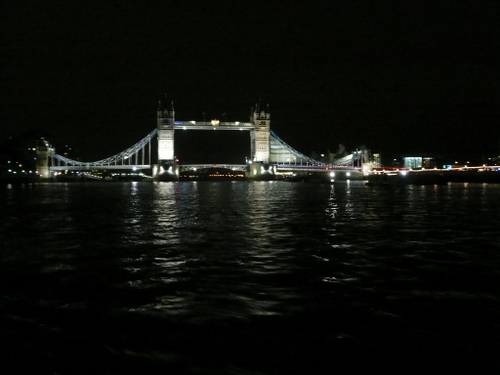 We sailed under Tower Bridge…. 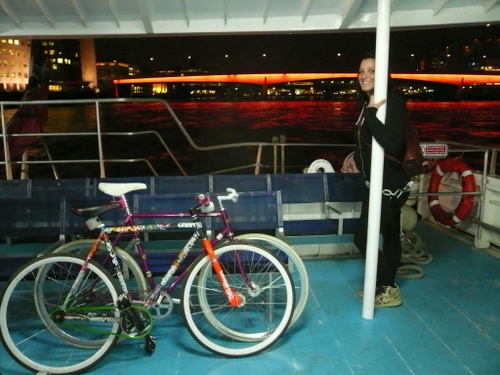 and got off at the O2 where we were immediately told off for riding bikes. 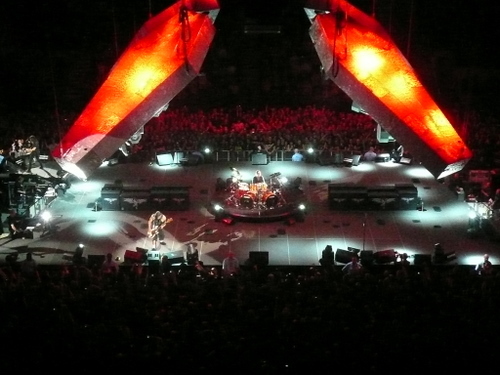 Metallica played way too much of the new album but then I guess that figures seeing as its the Death Magnetic tour. Luckily they played a lot from the first three albums too to make up fot it. Emily doesnt know a single Metallica song and found the whole thing hilarious prefering to laugh at the crowd than to watch the band. I had to ignore Trujillo as I find him insanely annoying. We had an epic adventure after we left. It was IMPOSSIBLE to get away from the bloody place – no matter which way we went we seemed to continue circling the dome. 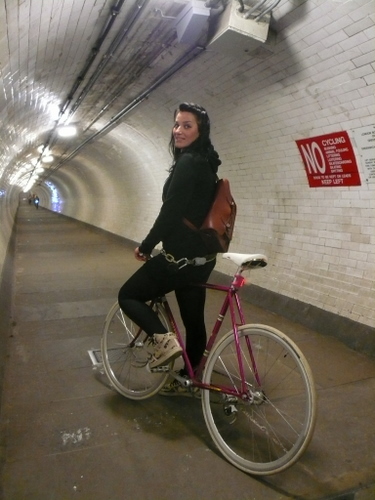 We tried and failed to convince two coppers to let us ride under Blackwall Tunnel and didnt manage to find our way home for three and a half hours. 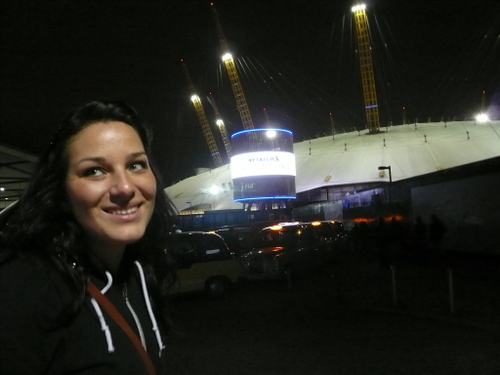 And you can practically see the 02 from Emily’s place! It was kind of amazing getting lost in our own city – there was something really enjoyable about it. At least for the first two hours there was….